They have 6 league games before the split including hearts away, and us and the sheep at home. Theres good opportunity for them to drop points. If we could get the points down to around 5 going into the split I'd fancy us, it'd mean we've taken something from the paedo dome and pressure would be fully on them. It's our own inconsistency that worries me though. On our day we're better than anyone in the league but we haven't been able to match their winning runs. The next couple games will be massive in how the season pans out. 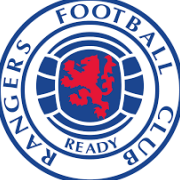 ------------------mcgregor------------------- Tav--------goldson--worral-----barasic ---------Jack------kamara---arfield--------- Candeias--------lafferty-------------Kent Last chance for barasic to show hes our no1 left back for the rest of the season. Keep the team the same from Wed with the obvious exception of morelos. Lafferty over defoe because defoe just can't play that role, at least lafferty has a bit of presence and will put himself about. Has to take any chance that falls his way though. Hopefully arfields back, we badly lack a midfielder getting into the box without him. Him kamara and mcrorrie could give us a good balance with Jack probly out. Im split about barasic, he was as poor as anyone on Saturday but I want him to get a extended run in the team (I know performances dictate that so will have to improve fast). Candeias needs to find his form again, Hopefully grezda gets back soon, if anything else to give him competition. Maybe Kent right n Middleton left?